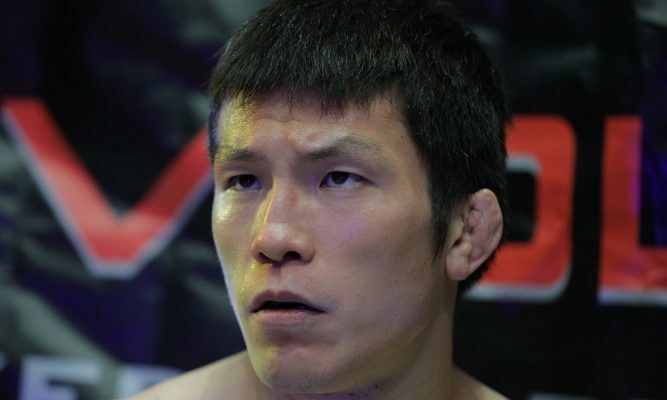 Shinya Aoki will return for a grappling 'super-match' at ONE: Kings Of Courage On Jan. 20. Shinya Aoki will return to the ONE Championship cage just two months after his last outing when he takes on the former ONE Championship featherweight champion Marat Gafurov in a grappling ‘super-match’ at ONE: Kings Of Courage on Jan. 20. The bout was announced this morning via press release. The bout will feature on the undercard of ONE’s inaugural flyweight title fight where Singapore’s Tiffany Teo will take on China’s Xiong Jing Nan. “I am super excited to announce Tiffany Teo versus Xiong Jing Nan at ONE: KINGS OF COURAGE in Jakarta,” Chatri Sityodtong, Chairman and CEO of ONE Championship said via press release today. “It is our first global broadcast of 2018 and we are going big. The two women are exemplary martial artists who compete at the highest level of skill.